How do you chat with a person from a country that doesn't speak english? -- Did you say Google Translate? Yes of course you can do that however it would be tedious searching for the phrase and pasting it on your chat client. Here is a more simple way. 1. 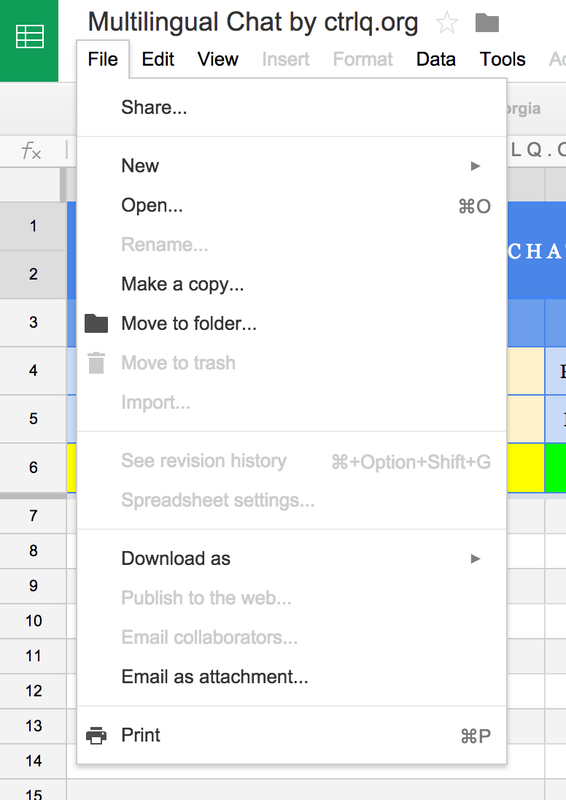 Just create a copy of this multilingual Google sheet by heading to File > Make a copy menu. 2. 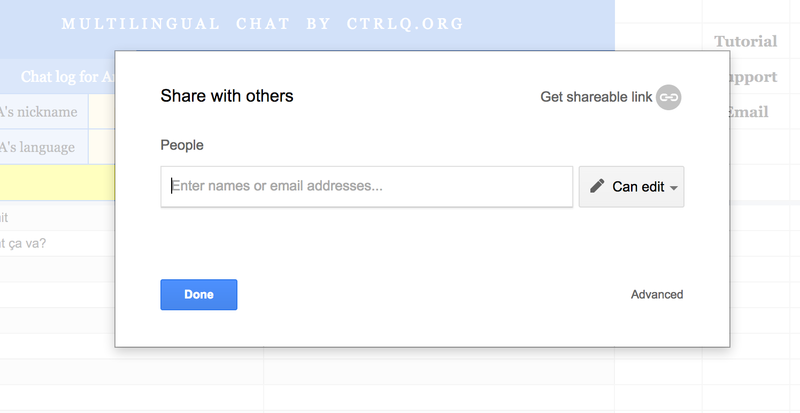 Click the share button to share it to another person. Make sure choose "Can Edit" as permission. 3. Put your name and your chat mate's name at cell C4 and G4 respectively. 4. Select your native languages in cell C5 and C6. 5. 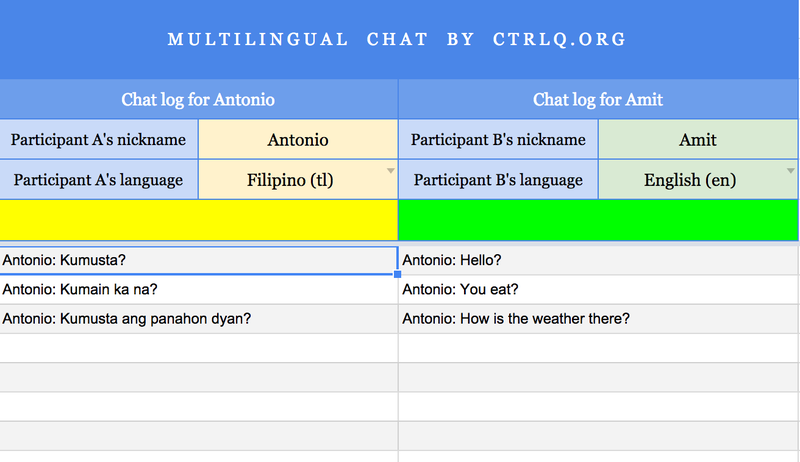 Start the conversation by typing anything in the yellow cell. 6. Translated sentence will show up on the next cell. Although the translation is not entirely accurate at all times, it is actually pretty good when I tested it with Tagalog (Filipino native language) to English translation.